I've told several guys how to do it so now I'll just post it up. Maybe add it to the stickies and data base later. This one is set up for 308. Your goal is to move the shoulder during sizing about 0.003 for your new Master Blaster AR10 with the 24' fluted bull barrel satin finished Black Hole tube. 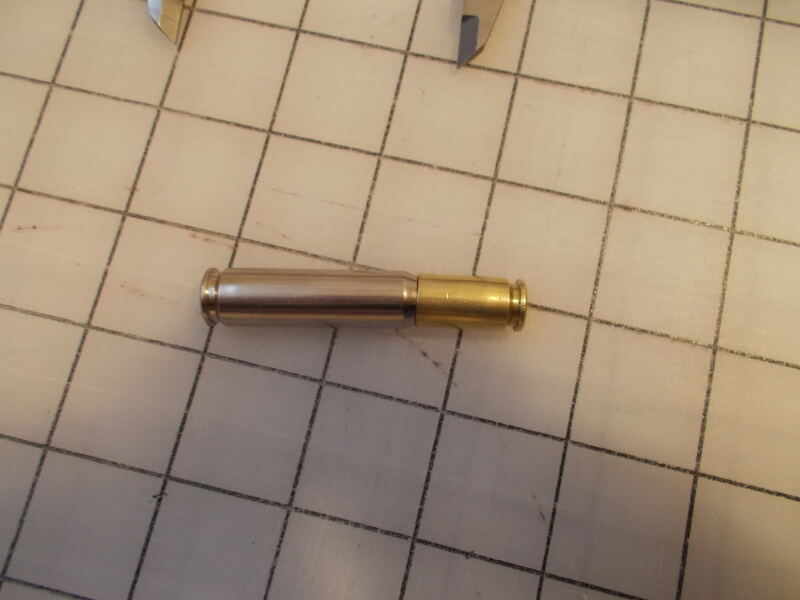 One 40 S&W , 10 MM or any case that will fit over the case neck and still interface the shoulder about midway. A 38/357 will work but it is tighter than I like. Notice the 40 S&W goes over the case neck and DOES NOT bottom out. This is a point on your shoulder from a fired case. It is not the true datum line that is half way up the shoulder but it will work. Now get your sizer in the press and start sizing the case. After it is sized measure as above, Your goal will be to read about 2.4745 + or -. That gives you 0.003 head space. 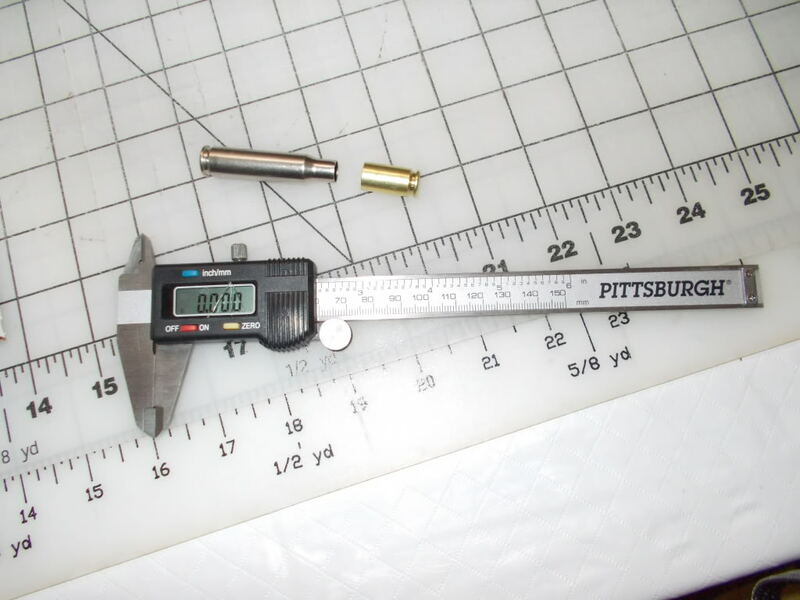 You may need about 0.001 more sizing because the general rule of thumb is the case will spring back about 0.001 and you may have to take that into account for 100% reliability. This is in a auto chamber. 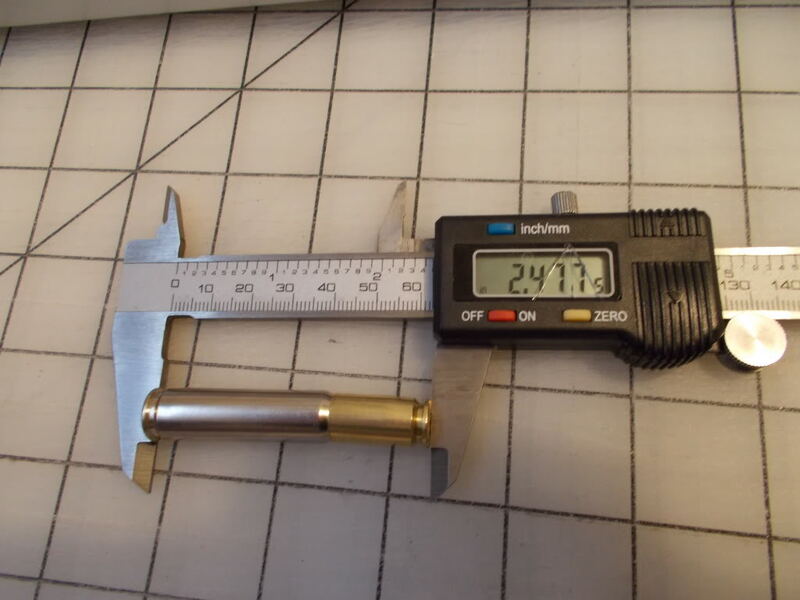 A bolt gun only needs about 0.001 to 0.002 as the bolt will can in a sized case with it's extra leverage. Semis, pumps and levers don't have that camming ability and you must add in the extra 0.001 or so. I size up a few and then drop the empty sized case in my chamber, drop the bolt with my own hand NOT with the buffer spring, as it CAN size the case as it slams on the case, and then check for easy extraction. If it is to tight then I tweak until it will come out without having o whack on the charge handle. This will work on any non-belted bottle necked case. You CAN do it with belted Magnums and many do HS off the shoulder on them ignoring the belt for various reasons. All you need is a case to slide over the neck and impinge on the shoulder on any of them. I Use a 7.62X39 on 6 PPC cases or 6 MM's if I am in a hurry or don't have the right set up from Hornady for that case family. This method will increase case life as you aren't shoving the shoulder back as much as 0.015 when you crank that die down to the shell holder/plate. Thanks for the visual on this! Learnt sumthin' new!